Ford has never been shy about its intentions to be more environmentally friendly. 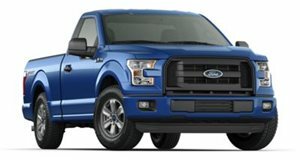 Examples include its entire EcoBoost engine lineup, the Focus EV and an upcoming hybrid Mustang and F-150 pickup truck. Even electric crossovers are in the pipeline. But why won’t Ford go all the way and make that future F-150 a pure EV? Business Insider recently spoke with Ford chief technology officer Raj Nair as to why that won’t be happening (at least not in the near future). The reason is actually very simple.